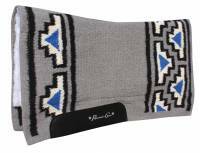 Description: This traditional Navajo Saddle blanket is woven out of 100% wool. 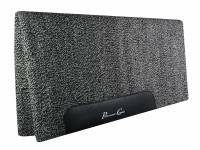 The double fold design provides just the right amount of protection. 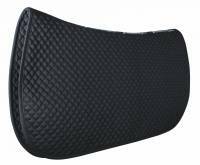 The authentic leather wear leathers protect the wool fibers from the saddle. 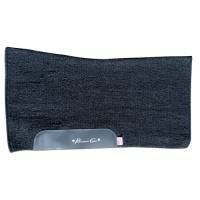 Description: 100% wool contoured Navajo blanket fits perfectly under a saddle pad to work as a liner. Quality wear leathers provides durability. Color: Black only. Size: 31" x 32". 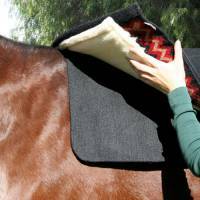 Description: 100% wool contoured Navajo blanket fits perfectly under a saddle pad to work as a liner. 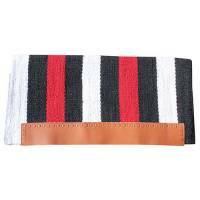 Contoured navajo blanket with sewn on wear leathers provides durability. 100% imported New Zealand wool. 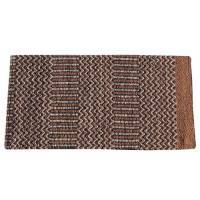 33"X38"
Description: This is a great double weave Navajo Saddle blanket. It is constructed out of acrylic blended materials to hold up to the rigors of repeated use.